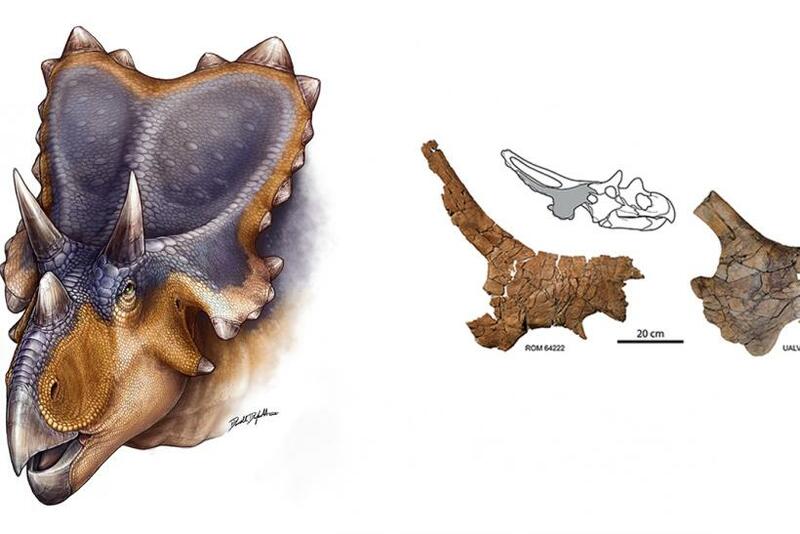 Scientists have discovered a new species of horned dinosaur with a unique wing-like headgear, which roamed North America about 77 million years ago. The dinosaur, named Mercuriceratops gemini, grew to be approximately 20 feet long and weighed more than two tons, according to scientists who made the discovery based on fossils collected from the U.S. state of Montana and the province of Alberta in Canada. The dinosaur, with a parrot-like beak and two long brow horns above its eyes, lived during the Late Cretaceous Period and was a plant-eating animal, scientists said in a study, published in the journal Naturwissenschaften. “Mercuriceratops took a unique evolutionary path that shaped the large frill on the back of its skull into protruding wings like the decorative fins on classic 1950s cars. It definitively would have stood out from the herd during the Late Cretaceous,” Michael Ryan, a curator of vertebrate paleontology at The Cleveland Museum of Natural History in Ohio and the study’s lead author, said in a statement. The name Mercuriceratops, meaning “Mercury horned-face,” refers to the wing-like ornamentation on the dinosaur’s head that looks like the wings on the helmet of the Roman god, Mercury. According to scientists, horned dinosaurs in North America used their wing-shaped ornamentation not only to protect themselves from predators, but also to identify each other and to attract mates. The discovery of Mercuriceratops is the latest in a series of new findings by Ryan and David Evans, a curator of vertebrate paleontology at the Royal Ontario Museum and the study’s co-author, as part of their Southern Alberta Dinosaur Project, which is focused on Late Cretaceous dinosaurs and their evolution.